He noted that the 1969 Legislature passed 1150 single acts, compared to this year’s 80, most of which contained more than one subject. While not advocating the elimination of omnibus bills, Davies argued that every single new subject to be added to them needs a vote in the legislature or in an open committee. He also recommended that the practice be brought to the Supreme Court by multiple petitioners and that the Court hold multisubject Acts invalid. 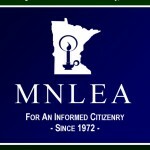 LEA has long decried legislation that violates the single-subject rule because the practice shields legislators from public accountability and it allows passage of items that favor small groups of people at the expense of the public good. Such items would never be passed in stand-alone votes and are unconstitutional.